Play Haven features over 4000 square feet of space for the entire family. Features include an art studio, sensory activities, imaginative games, dramatic play areas, and even a rock climbing wall. Table seating and free WiFi is also available throughout. Available for birthday parties, baby showers, private events and our special enrichment classes. Enjoy our wonderful outdoor play area tucked alongside the lush greenery of Forest Hill. 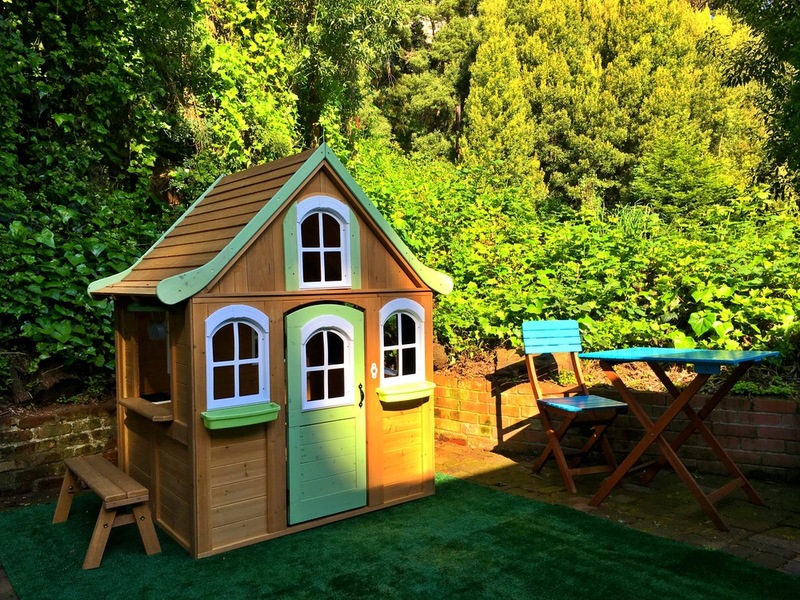 Features include a large cedarwood playhouse and other fun sensory activities for the kids to play. There's also lots of seating to hang out, have a snack, and enjoy the forest view. The kitchen area is equipped with all the amenities for your time at Play Haven. There is a full refrigerator, microwave, toaster oven, tea and single-serve coffee and espresso maker. We also offer a range of healthy snacks for purchase to fuel your little one’s energy as they play. A relaxing space with a loveseat and glider for mothers to nurse in comfort. Also equipped with an infant changing station stocked with diapers and wipes.